Announcing the Grand Prize Winner of FyndIt’s TMNT Contest! Posted on August 27, 2014 by Mandy	in Contests and tagged Collecting, Collector, Comic Books, Comics, Contest, FyndIt, Grand Prize, Hulk, Sub-Mariner, Teenage Mutant Ninja Turtles, TMNT, Toys, Vintage Toys. FyndIt’s Mean, Green Teenage Mutant Ninja Turtle Contest has come to a close and we have chosen a Grand Prize winner! Over the last four weeks, TMNT fans have been busy posting Wants and Finds to our site in hopes of winning the Grand Prize CGC first edition TMNT comic book signed by the creators Eastman and Laird valued at $10,000. Congratulations to BigFatMama5, on being selected as the Grand Prize winner! The winning Want is a promotional Kellogg’s Star Fox video game watch from the 1990’s. Our Grand Prize winner has been searching for this elusive watch since her teacher took it away from her in grade school. Help return a long-lost and treasured childhood toy! If you know where to locate this special watch, click here and post your Find. If it’s what she is looking for, you could earn a bounty reward! Here is a look back at the other three weekly finalists in the TMNT contest. Thank you to everyone who participated in FyndIt’s Mean, Green TMNT Contest! We really enjoyed checking out all of the Wants and Finds TMNT fans posted to our site. See if you can join our community of Finders and locate unique and rare comic book memorabilia. You never know what you will find or how much someone is willing to pay you to find it! FyndIt’s Mean, Green TMNT Contest Week 4 Finalist! Posted on August 21, 2014 by Mandy	in Comic Books, Contests and tagged Collectibles, comic, Comic book, Contest, Finds, FyndIt, Star Fox, Teenage Mutant Ninja Turtles, TMNT, Video Game, Wants, Watch. Congratulations to BigFatMama5 for qualifying as the Week 4 finalist in FyndIt’s Mean, Green TMNT Contest! Her Want for a Kellog’s Star Fox Video Game Watch from the 1990’s scored the most points during the last week of FyndIt’s TMNT contest. FyndIt is a service that helps people locate hard-to-find collectibles. BigFatMama5 posted her Want in hopes that someone can help her track down a very special Star Fox watch that was only redeemable through Kellog’s cereal company with two proofs of purchase and a small fee for shipping and handling. There are several Star Fox watches from the 1990’s that are listed on eBay, but these watches were released by Nelsonic after the Kellog’s promotion and they have a different button interface. If you know where to locate a working Kellog’s Star Fox watch from the 1990’s online or in a store, help BigFatMama5 rescue her most prized possession from her long lost childhood! Click here to post your Find and if it’s the watch she’s looking for, you could earn a nice bounty reward for your efforts! Help other collectors find rare or elusive memorabilia by clicking on the Wants and checking out the listings. You never know, you could Find something someone is looking for and earn some money by helping them out! FyndIt’s Mean, Green TMNT Contest Week 3 Finalist! Posted on August 13, 2014 by Mandy	in Comic Books, Contests and tagged Bronze Comics, Collecting, Collection, Comic Books, Comics, Finds, FyndIt, Sub-Mariner, Tales to Astonish, Teenage Mutant Ninja Turtles, TMNT, Wants. Congratulations to our Week 3 Mean, Green TMNT Contest finalist, Evo_Shandor for his qualifying Find Tales to Astonish #1! Evo entered his Find in our TMNT contest in hopes of winning the Grand Prize a near mint CGC first issue Teenage Mutant Ninja Turtles comic book signed by creators Eastman and Laird worth $10,000! There are only a few more days left of the contest which ends on August 16th! Try your chance at a piece of Teenage Mutant Ninja Turtle history and post your best Want or Find to enter the contest. What’s a Want? A Want is something you’re looking for. When you can’t find something on the internet or in a store, our community of Finders can save you time and money looking for it! What’s a Find? Something that you’ve seen that you think someone else might want. You can go about this two ways, finding the exact thing someone wants or you might just list something interesting that you’ve found online, or in a store that you think someone might want. Entering FyndIt’s Mean, Green Comic Contest is easy! Ready the contest rules and click Accept. Create a username and password at FyndIt. Verify your email so that we know you are not a mutant. Create and post your most interesting Want or Find. Each week the judges will choose a weekly finalist. At the end of the contest, the judges will choose a Grand Prize winner out of the four weekly finalists. You still have a few days to win this awesome TMNT comic! Enter the contest here. FyndIt’s Mean, Green TMNT Contest Week 2 Finalist! Posted on August 5, 2014 by Mandy	in Contests, Toys and tagged Bouncy Toy, Collectibles, Collecting, Contest, FyndIt, Hopper, Hulk, Incredible Hulk, Rare Toys, Spider-Man, Teenage Mutant Ninja Turtles, TMNT, Vintage Toys. Congratulations to our Week 2 Mean, Green TMNT Contest finalist, UWComics for his qualifying Want Hulk Hopper Ball! This vintage Incredible Hulk toy is so rare that our member was not even able to find a photo of it! The photo of the Spider-Man hopper is as close of an example as he could find. UWComic’s Want is going to be a challenge for our community of Finders! Do you have the skills to track down this extremely rare toy? The weekly contest finalist is looking to spend between $25 and $150 to purchase the 1978 Hulk Hopper. 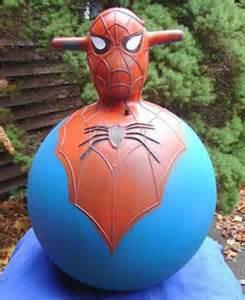 If you know where to find this rare Marvel toy, make sure to click on the Want Hulk Hopper Ball and post your Find. If your Find is accepted as a match, you could earn a sweet $15 bounty reward! There are many other bounty rewards to be claimed on FyndIt! Check out the most recent Want listings and see if you can earn money helping others find collectibles. FyndIt’s Mean, Green TMNT Contest runs through August 16th! Don’t miss out on the comic book that inspired the upcoming Teenage Mutant Ninja Turtle movie! You still have two more weeks to enter to win a CGC near mint first issue Teenage Mutant Ninja Turtles comic book signed by creators Eastman and Laird worth $10,000. Post your best Want or Find to try and get your hands on the Grand Prize! Each week the judges will choose a weekly finalist. At the end of the contest, the judges will choose a Grand Prize winner out of the four weekly finalists. You still have a chance to win this awesome TMNT comic! Enter the contest here. FyndIt’s Mean, Green TMNT Week 1 Finalist! Posted on July 30, 2014 by Mandy	in Comic Books, Contests, FyndIt and tagged Collectibles, Collecting, Comics, Contest, Contest Rules, Finds, FyndIt, Music, Song, Teenage Mutant Ninja Turtles, TMNT, TMNT Movie, Wants. The first week of FyndIt’s Teenage Mutant Ninja Turtle Contest has gotten off to a great start! We have seen a lot of cool and unique contest entries posted as Wants and Finds on our site. Congratulations to paladin who scored the top score for Week 1 of FyndIt’s Mean, Green TMNT Contest with the qualifying Want Looking to Find an Album Containing The Mystery Song I Heard at Camp. It looks like this melody has been stuck in his head for over two years and he hasn’t been able to track down the artist or the title of this elusive tune. He is willing to pay a $5.00 bounty to whoever can help him find the song described in his Want. At FyndIt, we help people find all sorts of stuff from mystery songs to comic book memorabilia to vintage auto parts. If you are looking for something you just can’t seem to find, post it as a Want on FyndIt and our community of Finders will help you track it down. Found something totally awesome that you know someone else can’t live without? Post it as a Find on our website and you could earn some money helping others find stuff! If you didn’t catch the first week of our TMNT Contest, you still have three more weeks to enter to win a CGC near mint first issue Teenage Mutant Ninja Turtles comic book signed by creators Eastman and Laird worth $10,000. Post your best Want or Find to try and get your hands on the Grand Prize! Each week the judges will choose a weekly finalist. At the end of the contest, the judges will choose a Grand Prize winner out of the four weekly finalists. You still have a chance to win this awesome comic! Enter the contest here. There are three more entry weeks that you can STILL participate in! The contest runs till August 16th. Don’t miss out on the comic book that inspired the upcoming Teenage Mutant Ninja Turtle movie! Check out the TMNT Contest FAQs for more information. Posted on July 17, 2014 by Mandy	in Comic Books, Contests, FyndIt and tagged 1980's, Collectibles, Collecting, Collector, Comic book, Comics, Contest, Eastman and Laird, Enter to Win, Find, FyndIt, Geek, Nerd, Ninjas, Teenage Mutant Ninja Turtles, TMNT, TMNT Movie, Turtle Power, Turtles, Want, Win. Have you ever wanted to own a signed, near mint copy of the first issue of Teenage Mutant Ninja Turtles, but couldn’t get your hands on one because there were only 3,000 of them released? We’ll here’s an opportunity to win this rare and highly sought-after comic! Enter to win FyndIt’s Mean, Green TMNT Contest, and if your entry qualifies as the Grand Prize winner, you could take home a CGC 9.6 graded first print TMNT #1 comic book signed by the creators! The certificate of authenticity states that this particular comic was available only through a special promotion signing at “TURTLEMANIA” run by Metropolis and Robert Wilson in 1986 and is signed and remastered with a head sketch by creators Kevin Eastman and Peter Laird. 1. Read the official contest rules and click Accept. 2. Register a username and create a password. 3. Verify your email so we know that you’re not an evil overlord or mutated animal. 4. Post an interesting Want or Find to enter the contest. What exactly is FyndIt you ask? We are a community of collectors that help each other find great stuff like comics, memorabilia, toys – you name it! FyndIt members known as Wanters post a WANT – a hard-to-find collectible they’re looking for and offer a bounty reward to whoever can help them locate their item. Finders go out and search for the item online or in a store and post their found item as a FIND. If the Wanter accepts the Find as a match, then the Finder earns some money for their efforts and the location of the item is revealed to the Wanter. The Finder is stoked because they just made money off of helping someone find collectibles, and the Wanter is excited because they were finally able to track down that item they’ve had trouble searching for. It’s a win-win situation! COMPLETE (15 Points): How complete is the Want or Find? Make sure to include a clear photo, helpful description,choose a category for your item, list the price and set the bounty reward if it is a Want. MEANINGFUL TITLE (15 Points): Does your post include a meaningful title? For example, “Comic” is not an especially helpful title. 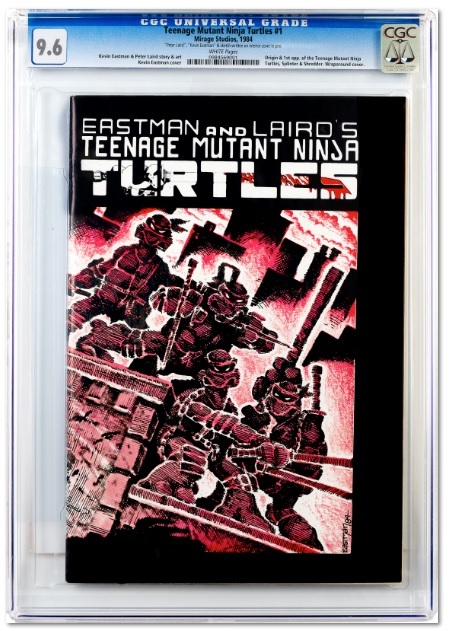 “Eastman and Laird’s Teenage Mutant Ninja Turtles #1 CGC Near Mint” is a very helpful title. The more meaningful your title is, the higher your entry will score. AWESOME DESCRIPTION (55 Points): Describe what the item is and what era it comes from. Make sure to include the condition of the item. If you’re posting a Want, it is good to give a back story on the item you are looking for and an explanation of why you want it. If you are posting a Find, you’ll need to describe the item in detail and convince the Wanter that your Find is the best match. The more helpful and interesting your description is, the higher your entry score will be. UNIQUE OR DIFFICULT TO FIND (15 Points): Is your Want or Find something which could be considered hard for someone to locate? A greater difficulty in locating the Want or Find will result in a higher score. FyndIt’s Mean, Green Contest will run from July 20, 2014 at midnight Pacific Daylight Time (PDT) to August 16th, 2014 at 11:59 pm PDT. There will be four entry weeks July 20-26, July 27 – August 2, August 3-9 and August 10-16. You can enter as many times as you wish during the Entry Period, but only one entry per day. If you make more than one entry in a given day, only the first entry will be accepted. We will select the most interesting Want or Find submitted during the Entry Week as the Weekly Finalists. Weekly Finalists will qualify to receive the Grand Prize. The Grand Prize winner will be announced after August 19th. Check out the Contest FAQs and tips for posting a Winning Want and a Winning Find. Good luck and may the best WANT or FIND win FyndIt’s Mean, Green TMNT Contest! Enter the contest here. Posted on June 7, 2014 by Mandy	in Contests and tagged Buffy, Buffy the Vampire Slayer, Collectibles, Collecting, Comic Books, Contest, Demons, Finds, FyndIt, Mask, Memorabilia, Musical, Musical Demon, Sweet, TV Show Memorabilia, Uncanny X-Men, Vampires, Want, X-MEN. Over the last five weeks, X-Men fans have been busy posting Wants and Finds to FyndIt’s Classic X-Men Comic Contest in hopes of winning the Grand Prize set of CGC Signature Series comics that inspired the worldwide box office smash hit X-Men Days of Future Past. Lots of hard-to-find comics, rare superhero statues, old school gaming equipment and other great collectibles were posted as contest entries by people looking for stuff and by people who know where to get it on FyndIt. 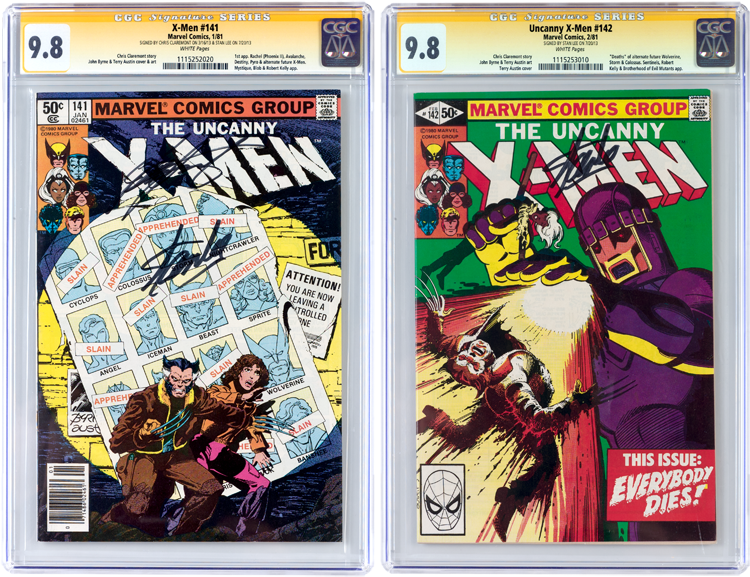 Four lucky winners have been awarded a set of CGC 9.8 NM Uncanny X-Men issues #141 and #142 valued at $300.00. Our lucky Grand Prize winner has been awarded a CGC Signature Series of the same set of X-Men comics signed by comic book legend Stan Lee valued at $1,500.00. Boy, the contest participants made it tough on the judges! We had so many awesome and unique Wants and Finds to look through in order to narrow down it down to the top five winners. We wanted to give a big shout out to all of our new members who entered FyndIt’s Classic X-Men Comic Contest! CONGRATULATIONS to Nerdlyweds, on being selected as the Grand Prize winner of FyndIt’s Classic X-Men Comic Contest! The one-of-a-kind Find was the Week 4 Winner of our contest. The Grand Prize Find is a character mask worn by actor Hinton Battle in a memorable musical episode of Buffy the Vampire Slayer season six. In this fan-favorite BtVS episode, Sweet the jazz demon forces Buffy characters to sing and dance, spilling their biggest secrets and untold truths. This iconic piece of Buffy history has been part of a private collection and is now available for sale to the serious Buffy collector. If you are obsessed with Buffy or dancing musical demons, Nerdlyweds knows where to find unique and rare television props! If you can’t live without this magnificent mask click on the winning Find , SCREEN USED Sweet Mask to find out where it’s located. Nerdlyweds Grand Prize Find was actually the only Find chosen during the contest period. The other four winners posted Wants as contest entries. A Want is an item a person is looking for in a specific condition and for a particular price. They post their Want to FyndIt with the offer of a small bounty reward to the person who can help them track the item down for sale. Take a look at the remaining X-Men Contest winners and see if you can find a match and earn a bounty reward! Thank you to everyone who participated in FyndIt’s Classic X-Men Contest! We had a blast checking out all of the awesome Wants and Finds submitted in the last five weeks. To see what X-Men fans posted to FyndIt check out the Wants and Finds listed on our site. See if you can join our community of Finders and locate unique and rare comic book memorabilia posted to FyndIt. You never know what you will find or how much someone is willing to pay you to find it!